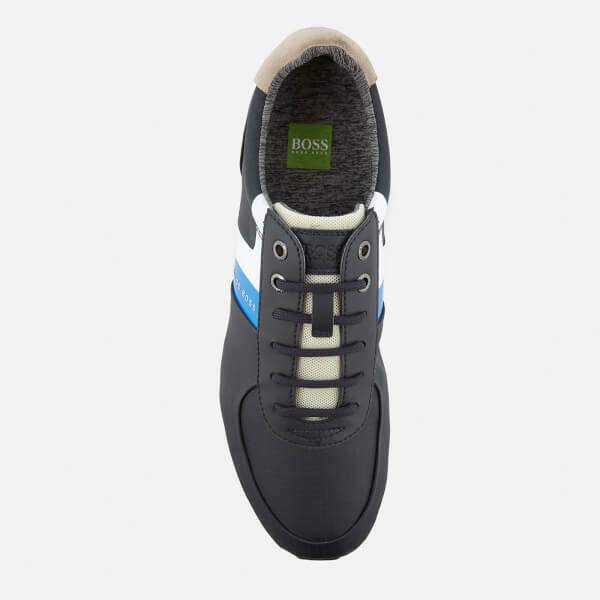 Men's low top running trainers from BOSS Green. 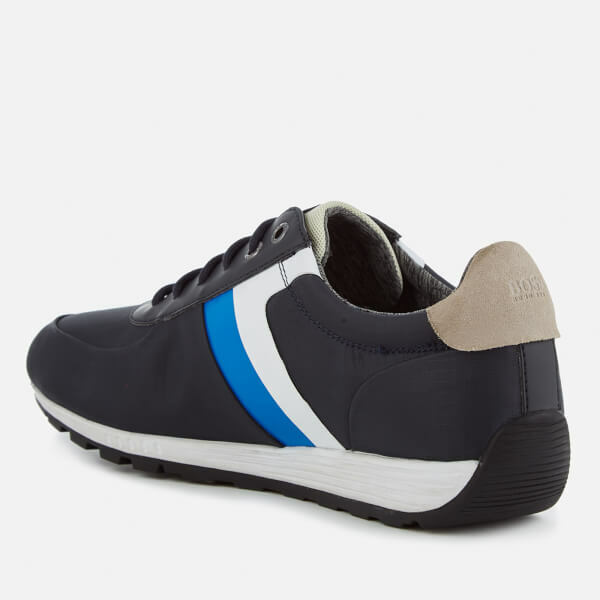 Formed with a durable textile upper, the 'Blast Runn' sneakers feature a classic lace-up front, mesh tongue with branding, and contrast stripe detail to the sides with HUGO BOSS branding. 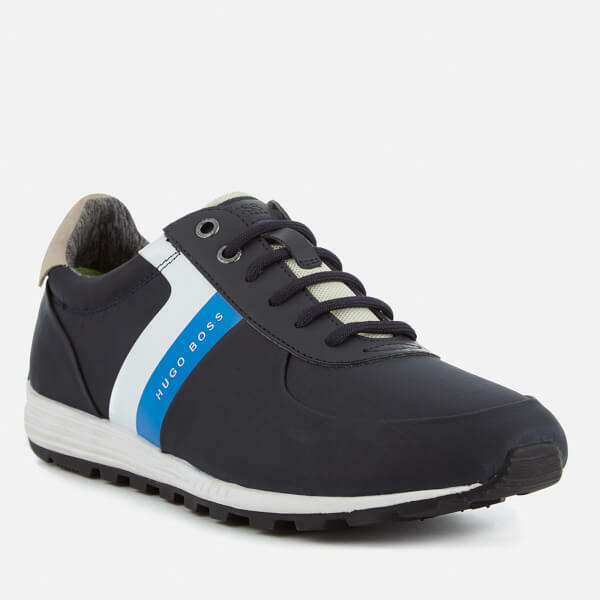 A padded collar offers enhanced comfort and support at the ankle, and a suede-effect heel covering showcases embossed branding. 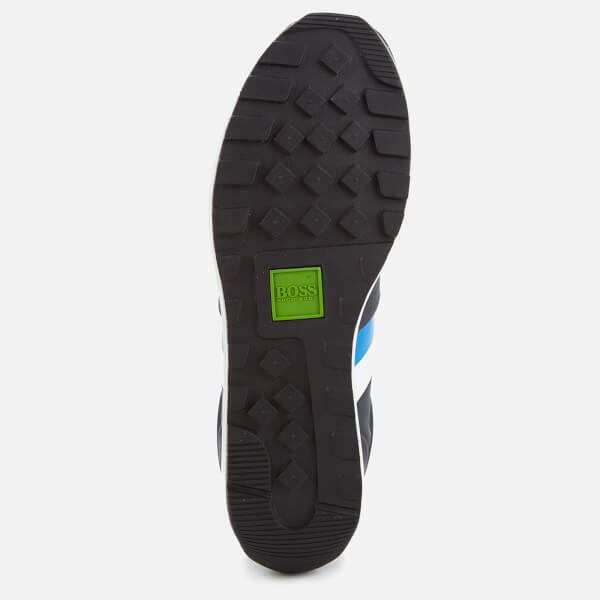 Set upon a durable sole with textured tread for grip. 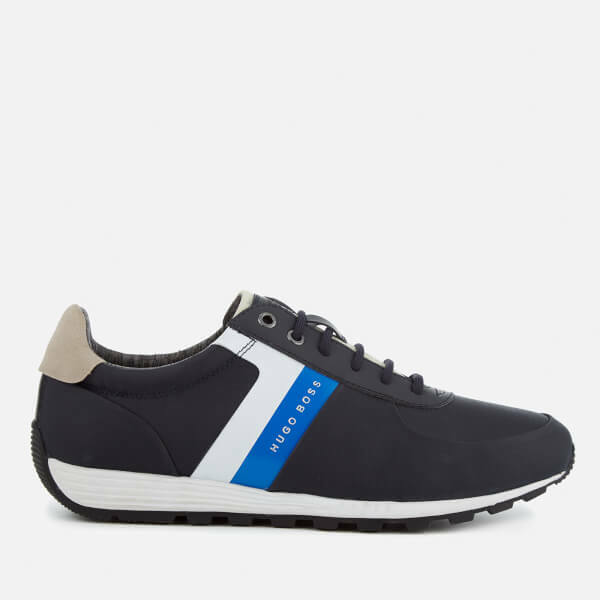 Lined in soft fabric.